Analysts have been eager to weigh in on the Services sector with new ratings on TripAdvisor Inc (NASDAQ: TRIP), Shake Shack (NYSE: SHAK) and AMN Healthcare Services Inc (NYSE: AMN). SunTrust Robinson analyst Naved Khan reiterated a Hold rating on TripAdvisor Inc (NASDAQ: TRIP) yesterday and set a price target of $40. The company’s shares opened today at $42.45. 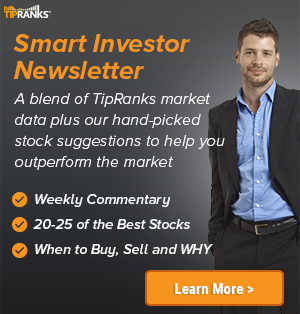 According to TipRanks.com, Khan is a 5-star analyst with an average return of 21.0% and a 74.2% success rate. Khan covers the Technology sector, focusing on stocks such as Endurance International, Paypal Holdings, and Facebook Inc. Currently, the analyst consensus on TripAdvisor Inc is Hold and the average price target is $40.14, representing a -5.4% downside. SunTrust Robinson analyst Jake Bartlett reiterated a Buy rating on Shake Shack (NYSE: SHAK) today and set a price target of $54. The company’s shares opened today at $38.50. 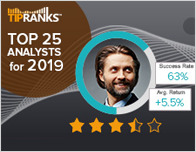 According to TipRanks.com, Bartlett is a 3-star analyst with an average return of 2.6% and a 48.5% success rate. 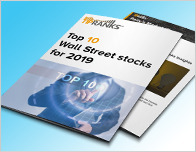 Bartlett covers the Services sector, focusing on stocks such as Dave & Busters Entertainment, Popeyes Louisiana Kitchen, and Jack In The Box Inc. Shake Shack has an analyst consensus of Hold, with a price target consensus of $44.40. SunTrust Robinson analyst Tobey Sommer reiterated a Buy rating on AMN Healthcare Services Inc (NYSE: AMN) today and set a price target of $67. The company’s shares opened today at $55, close to its 52-week high of $57.50. 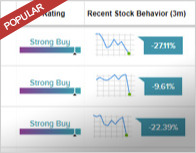 According to TipRanks.com, Sommer is a 5-star analyst with an average return of 15.9% and a 64.3% success rate. Sommer covers the Services sector, focusing on stocks such as Corporate Executive Board, Cross Country Healthcare, and Korn/Ferry International. Currently, the analyst consensus on AMN Healthcare Services Inc is Strong Buy and the average price target is $59.80, representing an 8.7% upside. In a report issued on February 1, Jefferies also initiated coverage with a Buy rating on the stock with a $66 price target. NASDAQ:TRIP, Naved Khan, TRIP, TripAdvisor Inc.